Who doesn’t love planning a family vacation? You get to decide where to go, what you’re going to do, what you’ll eat, and more! A lake cabin vacation rental can be a fun, memorable place for your family to enjoy. You get to play on the beach, explore nature trails, go boating, and enjoy a whole host of other fun activities. Really, deciding when you’re going to go is the only hard part! While you may think that summer is the only time of year you can enjoy a lake vacation, don’t underestimate the rest of the year. For example, a winter cabin rental in Minnesota could be just what you need when looking for a place to host family Christmas. Each and every family is unique and will have different wants and needs for a vacation. Similarly, the different seasons bring their own benefits and quirks. While spring and summer may be a little warmer, the fall and winter have a lot to offer as well. This quick guide will help you and your family decide which season will be best for your cabin vacation. While spring might still be a little too cold to head out on the boat to water ski, you may find the fishing to be quite good considering the limited crowds that visit the lake at this time of year. Throw on a light jacket and head to the trails for some hiking and exploring. Wildlife also starts to become more active in the spring, and you might even be able to spot a bald eagle soaring over the lake! Vacationing lakeside in the spring can also help you avoid the “spring breakers” as well as the heavy crowds of summer. Instead of taking an expensive spring break trip to an amusement park somewhere across the country, relax and enjoy your family’s company at the lake. You can also make some delicious meals–and save money!–by cooking or grilling out at your cabin. The summer tends to be the busiest and warmest time of year, making it a perfect season for a cabin vacation rental. The sun will be shining, the boats will be out, and you’ll be ready to have the time of your life on the lake. Enjoy your vacation by renting a boat for fishing or water skiing. Bass fishing is exceptional during early summer in particular; the water will still be a little cool, so the fish aren’t too deep just yet, which makes this a great time for topwater fishing. But beware of an increase in bugs during this time! During the middle of the summer, the lake will get busier. The season is great for berry picking, as blueberries and raspberries will be ripe and ready. The amount of bugs outdoors begins to decrease around this time, making it even more enjoyable to be outdoors. And as summer begins to wane, you’ll find the end of the season is great for viewing meteor showers (around the second week in August) and seeing bears at the Vince Schute Wildlife Sanctuary. As the summer transitions into fall, the lake becomes much quieter. The fishing improves as the fish are drawn back to the shallower water and begin to fatten up for the winter. The days become shorter and cooler, and the bugs almost completely disappear! Fall is the best time of year to catch a glimpse of the Aurora Borealis, as well. Gather your family, wrap up in some blankets, and watch the sky light up a beautiful emerald green. Go for a hike to enjoy the other colors the season has to offer: the bright oranges, reds, and yellows as the leaves begin to change, transforming the landscape into a gorgeous mass of warm hues. Winter heralds the quietest time of the year at the lake, but the season is not without its perks. With cabins big enough to fit you and your extended family comfortably inside them, you can easily host Christmas without the trouble of trying to fit all of your loved ones in someone’s home. With the weather getting downright freezing, enjoy some bonding time with everyone by cooking together or hosting a game night. At Birch Forest, you can even hang out in our lodge and meet other vacationers! Enjoy some friendly competition by playing pool or board games while getting to know each other. Whether you’re looking to vacation in a winter wonderland or want to spend your summer lounging on the beach, head to Pelican Lake for your cabin retreat with Birch Forest Lodge. With 12 newly renovated cabins to choose from, you’ll be sure to find a cabin that fits all of your family’s needs. Host a game night or head out to make the most elaborate sand castles–whatever you decide, there will be plenty of activities for each and every family member to enjoy. 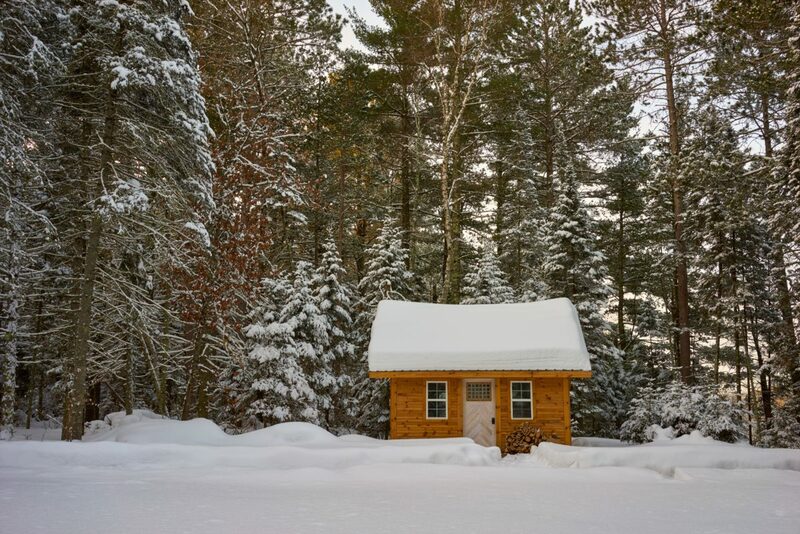 By Adam Van Tassell|2019-01-14T22:24:52+00:00January 15th, 2019|Cabins|Comments Off on What’s the Best Season to Rent a Cabin?